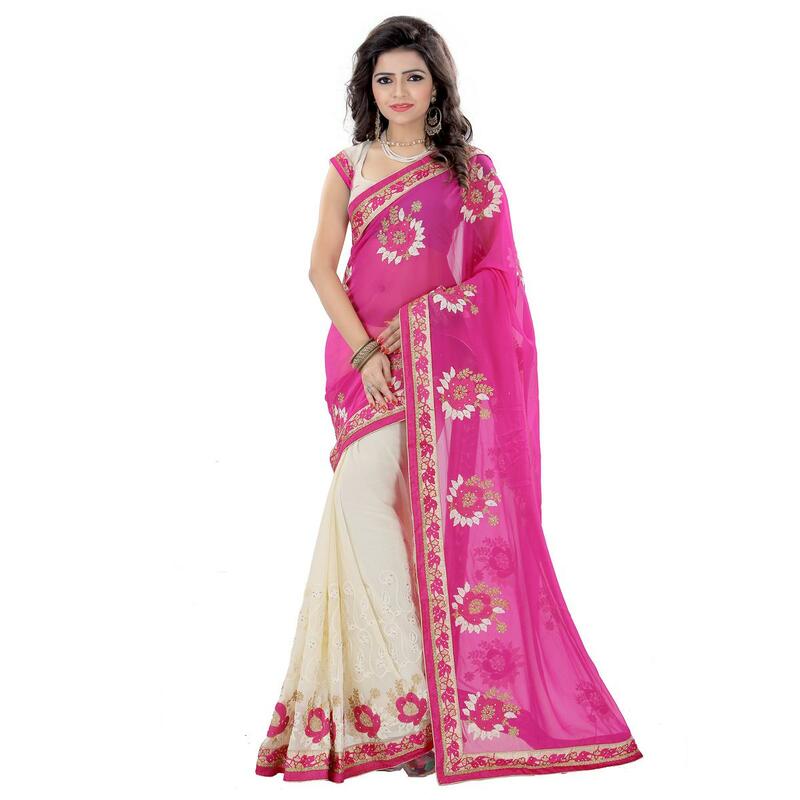 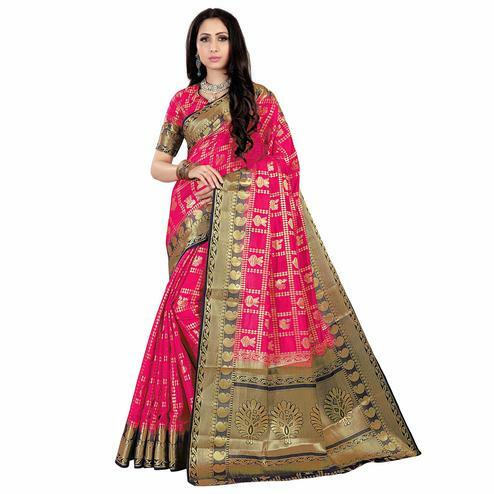 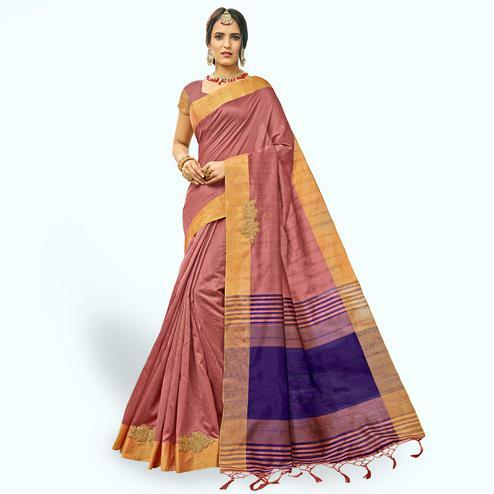 Add an ethnic touch to your looks with this cream - pink half & half saree. 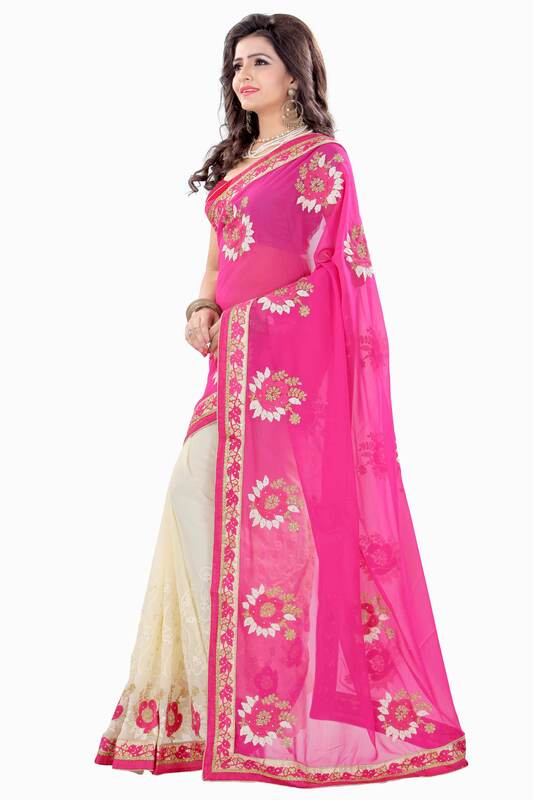 The designer saree is designed on georgette fabric & beautifully decorated with floral design embroidered work finished with stone. 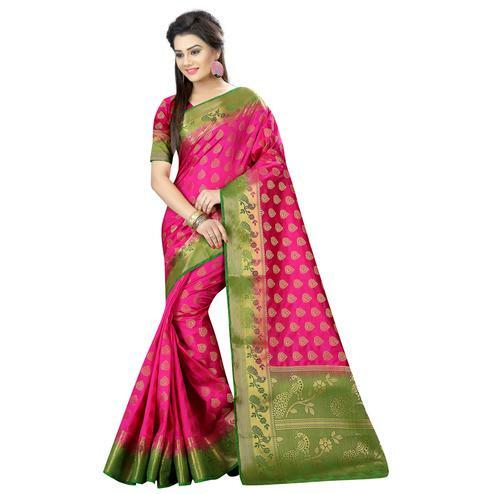 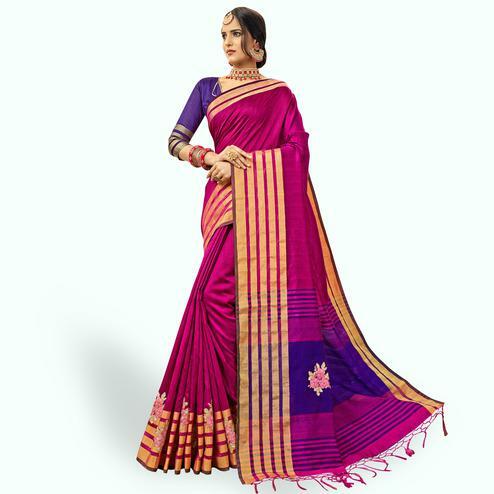 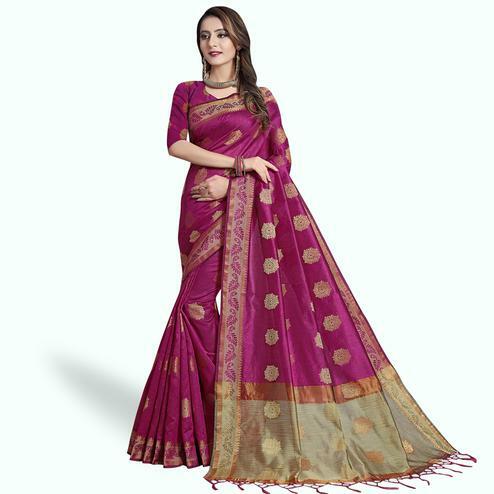 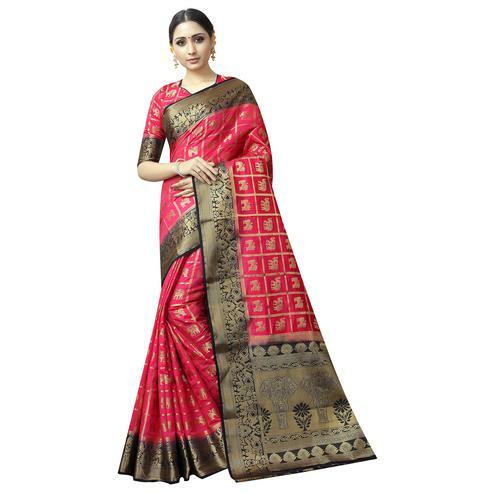 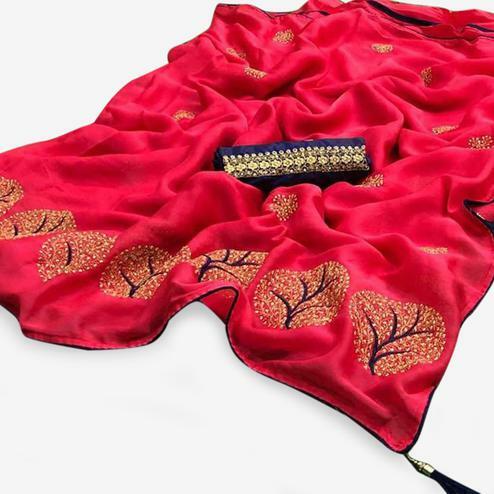 The border of this saree is highlighted with floral ivy design lace work as shown. 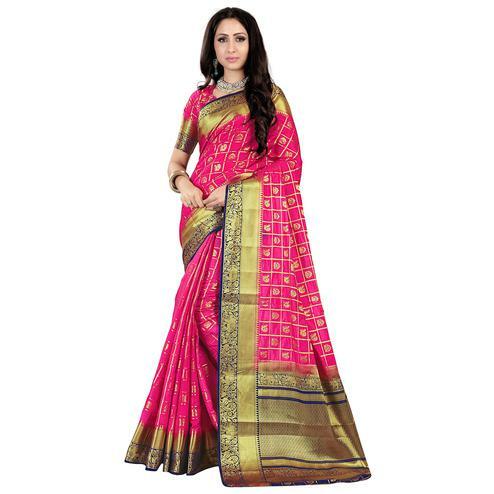 Paired with matching unstitched blouse piece.